Applications: Home Upholstery, Leather Bags, Suitcases, Soft Luggage, Cushions, Tents, Awnings, Jeans, Travel Bag, Rucksack, Day sailing, Cotton Sails, Spray Hoods, Covers, Interior and Exterior Boat Upholstery and general canvas work. 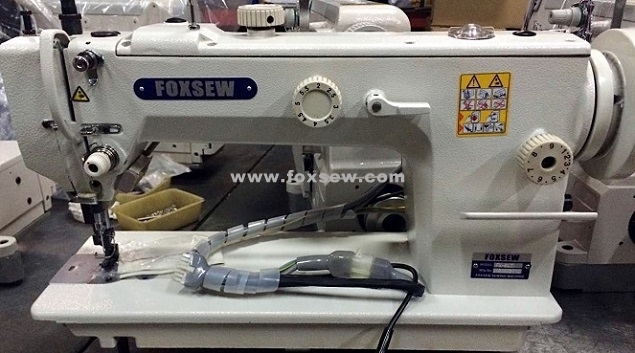 Features: FX-640 is one of the new models of FOXSEW brand in the new millennium, which adopts link feeding, thread take-up lever and rotating hook to produce stitch type 301. The design of longer machine head offers free working space. The super needle bar stroke and super alternating presser foot makes its features of heavy duty sewing even more outstanding. Having accurate and reliable function of automatic thread trimming, automatic stitch presetting as well as automatic lubrication, which ensure smooth in running, minimum noise, minimum vibration, especially suitable for production of bags, suitcase, cushion, tent, sofa, canvas and other heavy fabric. 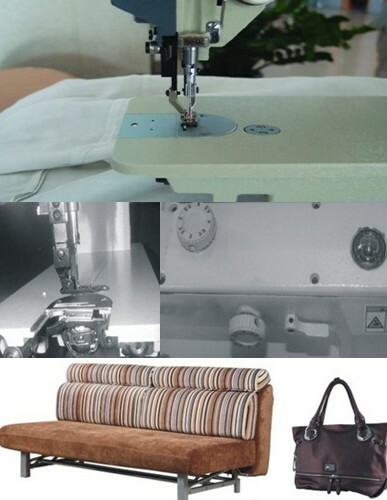 Looking for ideal Long Arm Top and Bottom Feed Sewing Machine Manufacturer & supplier ? We have a wide selection at great prices to help you get creative. 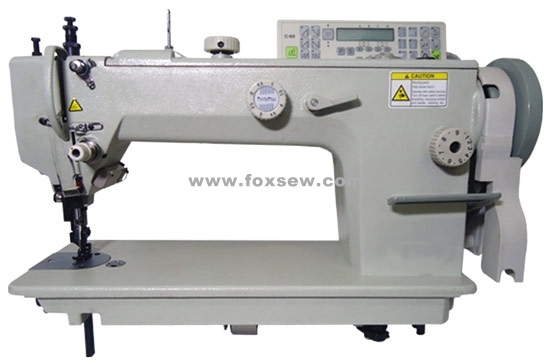 All the Long Arm Heavy Duty Sewing Machine are quality guaranteed. We are China Origin Factory of Long Arm Walking Foot Heavy Duty Sewing Machine. If you have any question, please feel free to contact us.